HMD Global, the manufacturer of the Nokia brand of smartphones recently launched the mid-range Nokia 7 and entry-level Nokia 2 smartphone. The Nokia 2 was launched, but there is no news of the availability of Nokia 7 in India. 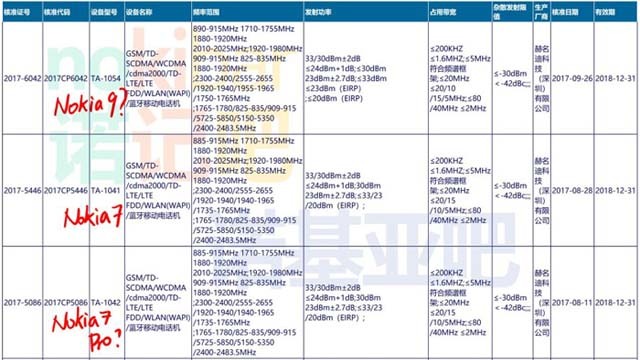 In September two Nokia devices bearing model number TA-1041 and TA-1042 received 3C certification in China. The TA-1041 turned out to be Nokia 7 while the Nokia TA-1042 is still unknown. 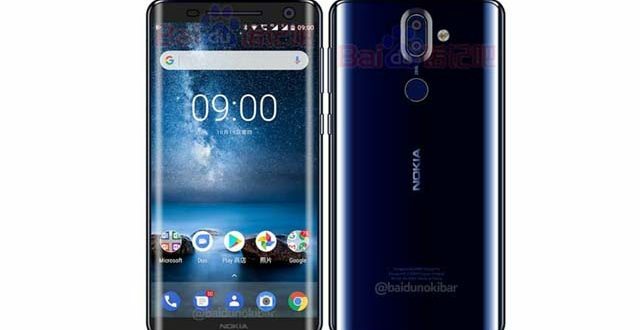 A new Nokia smartphone bearing model number TA-1054 has passed certification and if rumours are to be believed this the HMD flagship Nokia 9. Previous reports suggested the Nokia 9 to be much better than the Nokia 8 featuring an edge to edge bezel less curved edge display and a glass back. The display is also expected to have an 18:9. Aspect ratio. The screen will be 5.5 inches and will have a QHD resolution of 2160 x 1440 pixels. The device will be likely to be powered by the Snapdragon 835 Soc or the Snapdragon 845 Soc. 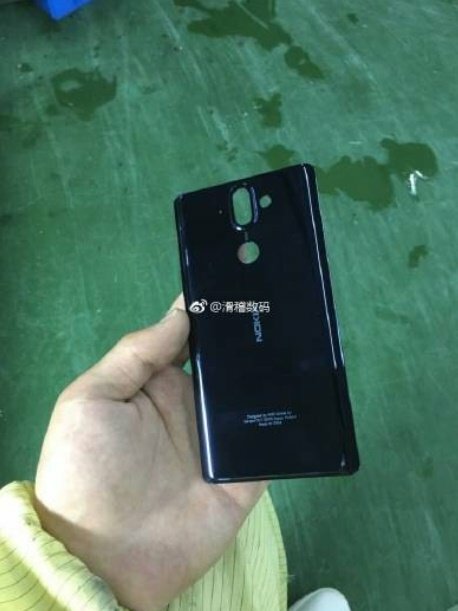 An image showing the rear of the Nokia 9 was leaked online. The images show a dual camera setup with Carl Zeiss branding on the rear similar to the Nokia 8 along with an LED flash. The circular fingerprint sensor on the rear also hints that the display will come almost with no bezel. The back material also appeared very glossy, but we expect HMD to fix that quickly. Leaked videos showing Nokia 9 renders are hitting the headlines. Onleaks and Concept creator has already shown us how the Nokia 9 will look. According to the rumours, the Nokia 9 will have 6 GB or 8 GB RAM with 128 GB of default memory space. It is said to come with an IP68 rating for dust and water resistance. The Nokia 9 will be the first device from HMD to ditch the old 3.5 mm jack and replace it with USB Type C.
The device will cost around 749 Euros or Rs 57,000 in India and will likely be released in the first quarter of 2018.